Hollywood’s Trendiest Anti-Aging Secret Revealed and Arrived in NYC. Skin treatments with microneedling can improve the look of your skin. Micro-Needing Therapy is known by a number of different names, including collagen induction therapy (CIT), percutaneous collagen induction (PCI), or skin needling. No matter how you reference or “pin it”, Micro-Needling is one of the hottest skin rejuvenation treatments available on the market today. In the youthifying, beauty and aesthetic industry, the latest and most advanced techniques evolve continually. Lucy Peters is home to the cutting-edge procedures and non-invasive treatments which lead to optimal desired results and ultimately your best, most fabulous and confident self! Micro-Needling points you in the right direction towards painless, safe and efficient technology proven to turn back the hands of time. What Is Micro-Needling? How Does It Work? Micro-needling naturally stimulates collagen and elastin production in the skin without further damaging it. Restoration and protection of your skin is key for facial anti-aging. The ideal goal is to develop smoother, tighter, overall healthier skin with a younger looking appearance. Micro-needling further benefits with wrinkle and scar reduction for various to almost all skin types. Medspas and licensed technicians of physicians use an electric skin needling device made especially for the purpose of beauty, health and wellness. The device is a pen shaped studded with (standardly) 12 very fine needles. This medical device is used to break down old scar tissue and to stimulate skin cells to proliferate. This cell multiplication results in the formation of new tissue layers of elastin and collagen fibers as well as in new capillaries for an improved blood supply. Since micro-needling is becoming a widely used and popular method for aesthetic solutions, it has progressed beyond just a simple tech device containing fine needs. The needles are not only strategically places within the device, but they are sculpted extremely thin in order to penetrate the skin creating a controlled injury. Each puncture is designed to pave a channel which triggers the body to fill these microscopic abrasions by naturally producing new collagen and elastin through the organic healing process. Skin texture and firmness drastically improves, while pore size, scars, stretch marks and other unappealing aesthetic ailments become reduced. 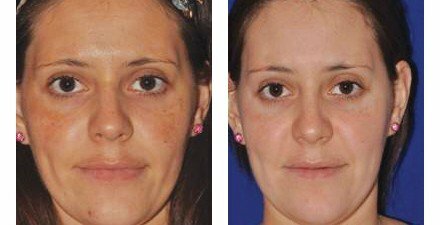 Rosacea can benefit from microneedling treatments. Micro-needling is easily personalized for individuals who may need deeper attention or require a more aggressive approach. The device is slid along the skin, penetrating the upper layers of the skin to a depth of up to 2mm to create numerous tiny needle wounds or openings. The procedure prompts the body to respond through the creation of new collagen and elastin fibers. In response to the stimulus, the skin plumps and thickens, reducing the appearance of scars, and fine lines and wrinkles. “And Voila!” A soothing Vitamin-C serum or Hyaluronic acid are used to hydrate, heal and protect the skin once the procedure is complete. For starters, through this process, your epidermis remains intact. This technique can even be repeated on the suited and appropriated regions safely due to its minimal invasiveness to the skin. Other procedures like laser treatments or deep chemical peels cannot be performed as often and require a slight recovery period due to the direct potential damage or risk of burn. Micro-needling increases quality but it can even be used as a tactic to prevent scarring. The feeling associated with the procedure is similar to light sandpaper being moved across the skin. It takes 15-30 minutes depending on the size of the area treated. 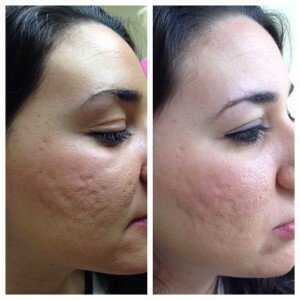 Micro-needling does not required extensive training or costly equipment. There are single-use systems as well as multiple-use devices both reasonable in price and session. May experience a redness, bruising or mild swelling (very similar to a sunburn) for 24-48 hours. During the first couple of days, it is recommended to protect tender skin with zinc based sunblock, hyaluronic acid and replenishing creams simply to reduce visible redness and restore hydration for comfort. Approximately within a week or two, you will notice stronger skin growth, smoothing out and a more radiant looking shine/luminous glow. Full effects may be reached after a few months. Over exposure to the sun should temporarily be avoided. There is no risk of post-inflammatory hyper-pigmentation. At Lucy Peters Aesthetic Center, we use the MicroPen Elite by Eclipse for our Micro-needling treatments, including the PRP Plasma Facial and PRP hair restoration therapy. Want to know more about Micro Needling with the Eclipse Micropen? Microneedling naturally stimulates collagen and elastin production in the skin without damaging it, to create smoother, tighter, healthier and younger looking skin. During treatment, the Micropen device penetrates the upper layers of the skin to a depth of up to 2mm to create numerous tiny openings, prompting the body to create new collagen and elastin fibers. In response to the stimulus, the skin plumps and firms, reducing the appearance of scars, fine lines, and wrinkles. What are the risks of microneedling? Microneedling treatment is safe to use on all skin types and all skin colors. There is no risk of post-inflammatory hyper-pigmentation. Microneedling can be used on all parts of the body; face, neck, décolleté, arms, hands, legs, abdomen and back. 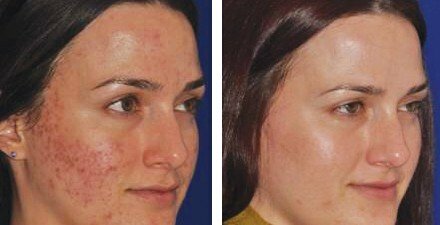 How many microneedling treatments are needed to achieve results? For collagen induction we recommend to start with 3 treatments, but with a minimum separation time of 4 to 6 weeks between treatments. 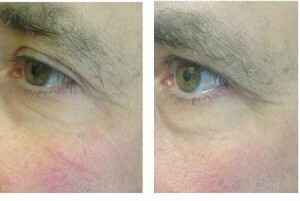 For scar reduction an average of 3 to 6 treatments are recommended. 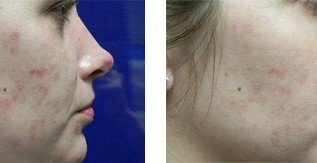 What device is used in microneedling? Some of the brand name devices used by aesthetic professionals for microneedling treatment include the Eclipse Micropen, Derma Roller, SkinPen, DermaFrac, Collagen P.I.N., Aquagold fine touch, Juvapen, and Dermapen. At Lucy Peters, we use the MicroPen Elite by Eclipse for our microneedling treatments, including the PRP Plasma Facial and PRP hair restoration therapy.